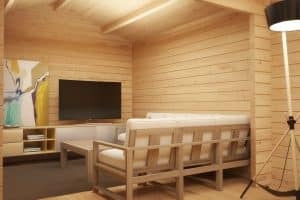 May, June and July are traditionally the busiest months for most log cabin retailers. The number of daily orders takes off like a sky rocket in the second half of April. This is because so many people are full of the joys of Spring and want get ready to maximise outdoor living throughout the summer and in to the autumn. 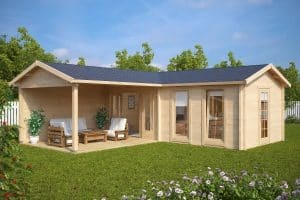 Following in this short blog we would like to point out a few good reasons, why in our opinion, you should not wait until the late spring but do it a few months earlier and get your summer house ordered in February or at least not later than March. Since our staff have two to even four times fewer orders to handle and less enquiries in early spring, we have more time to work with each customer and we are able to respond to any question you may have faster than we can during the busiest time of the year. 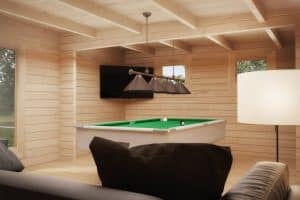 This is especially useful for people who may be building their first summer house and need more consultation about important cabin features, planning or choosing the right type of base for a summer house. 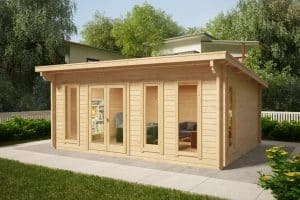 Many of our customers ask for some changes to our standard cabins to fit perfectly in to their gardens. 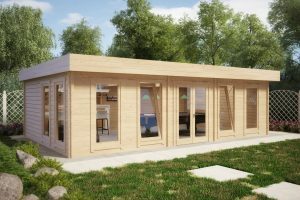 The most common amendments to our standard summer houses are changes to veranda sizes, thicker walls, increased or decreased room size as well as repositioning doors and windows. 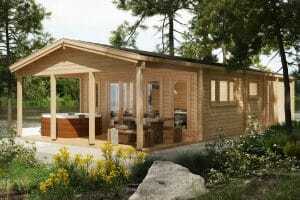 These changes involve re-quotation of a cabin price and making new cabin drawings. This procedure takes usually 10-14 days in early spring and at least three weeks during the peak season. This period of time excludes the manufacture lead time which is generally 6-9 weeks’ delivery time for a standard cabin. It is quite usual that we need to make a few more amendments to the drawings before they are fully accepted and approved by our customers and this can add even more time. Taking all above mentioned into consideration, you can quite easily estimate a two and a half or even a three-month delivery time. 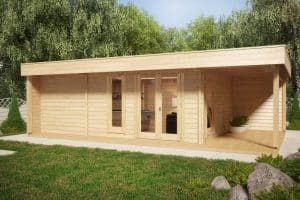 This means that if you leave your bespoke cabin order until May, you will finally get your cabin delivered somewhere in mid-August, and by our experience this is what our customers usually don’t like and some express quite a disappointment. 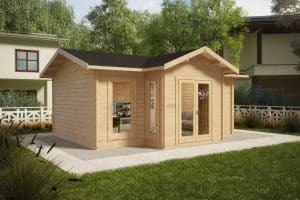 Therefore we strongly recommend to get your bespoke cabin ordered before mid-March to enjoy your garden with your brand new summer house for the entire summer period. Delivery times during the off seaon and high season can vary significantly. Summer houses ordered in February and March are usually delivered within 5-7 weeks from order, while our delivery times can increase to 10 weeks during the summer months when we receive more orders than our factory is capable of producing despite the fact that we work in two shifts, 24 hours a day during these months. You should never worry about ordering your summer house too early. 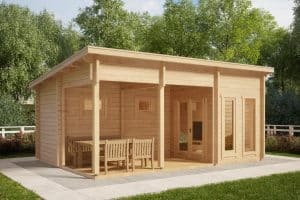 Since all our log cabins are weather proof packed, they can stay outside in your garden for several months and more if you don’t install your cabin straight away. Our traditional early bird 10% discount campaign starts from December and runs until the first days of February. Still in February-March we are usually open to negotiate reasonable deals with our customers for some particular standard cabins, offer lowers prices for bespoke cabins as well as offer special deals for cabin extras like roofing shingles and wood preservatives. 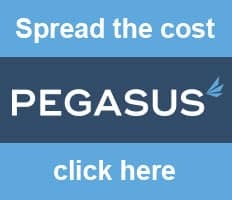 By making early bird discounts and being more flexible during early spring we try to attract more of our customers to complete their orders earlier. This helps us to free up some production space for the busiest months in one hand and save money for our customers on the other hand. In other words a fair win-win deal for us and for our customers! As a conclusion, Januray-March are the best months to buy a summer house. By doing so, you can save money on your summer house purchase, have it delivered quicker and get it up and start enjoying from the very first days of summer.